Acoustic quartet WAYFARER's deep rhythmic grooves, delicate string textures and soaring ethereal vocals draw on musical sources from African and Latin percussion to Tuvan throat singing to American folk, blues and jazz. 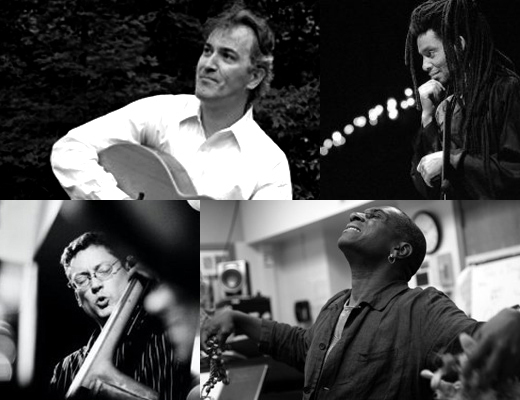 Collectively, members of the group have performed and recorded with Cassandra Wilson, Lizz Wright, Henry Threadgill, Pat Metheny, Al Foster, Meshell Ndegeocello, Samite of Uganda, David Hykes and the Harmonic Choir, and Pete Seeger. Tender love songs and healing anthems of the spirit. Deep world soul.